Via Slightly Coffee on Instagram. Using data to make marketing decisions is essential to growing revenue and having a stable business. That doesn’t mean data is easy, but it does mean that any business, at any stage or size, can put to work website, point-of-sale, and other data analytics that you and your team can use to develop and implement better marketing campaigns. Customer data can come from many places, such as website analytics, advertising platforms, customer demographics, social media profiles, surveys, and historical and geographical data. From these, you can identify business-relevant touch points and create specific policies and campaigns that can help drive revenue. Frequency of visit: How often does a customer come in? What frequency is ideal for your revenue goals? Dwell time: How much time are visitors spending at your business? What is the ideal visit duration in terms of brand and customer engagement to drive revenue and customer loyalty? Demographics and psychographics: Know who your target market is based on their age ranges, gender, profession, income, interests, intents, and likes. Traffic monitoring: What are the busy hours both inside and outside the store, and how can your business benefit from this information? What messages can you post inside or outside the location to draw people in and increase sales? Sentiment analysis: Information on a customer’s sentiment toward products and services a business offers. This can include customers posting likes/dislikes, reviews, ratings, and feedback on social media sites and other platforms. Analyzing sentiment data helps you understand if customers feel positive, negative, or neutral about your business. Effective promotions: Display a digital message on monitors or send a digital coupon to customers on mobile devices when they enter the business or pass by the business. Managing staff and resources: Do you have the right staffing levels for typically busy and slow times? Digital loyalty and rewards: Create programs that instantly recognize loyal customers and rewards these customers, and monitor their buying and recommendation habits, as well as their engagement with your brand online. While it’s never too early to start incorporating data into your decision-making, it does take time to figure out how to read and analyze the data, and to see how you can put it to work. The most important part is to get started, and find help internally or from a third-party firm. That’s been the experience of Slightly Coffee, a cafe, artisan coffee roaster, and wholesale brand in Eugene, Oregon. 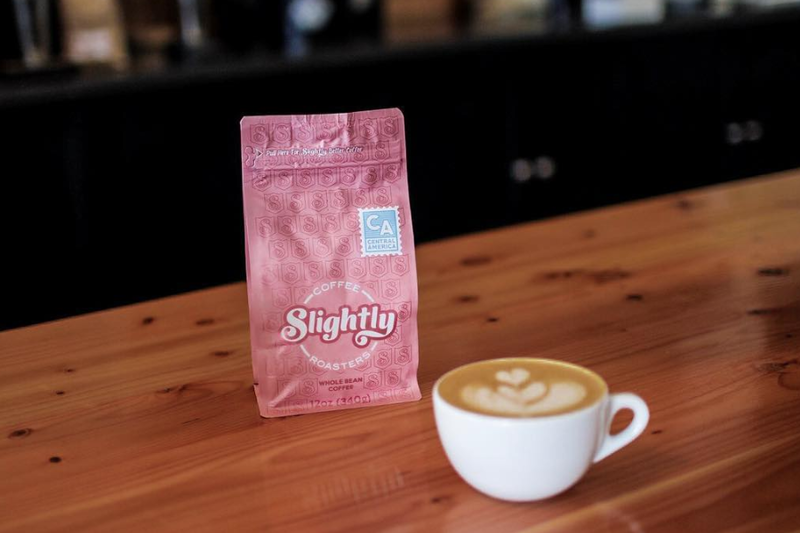 During their first year of operation, Slightly Coffee marshaled its resources to begin working with a local marketing firm. 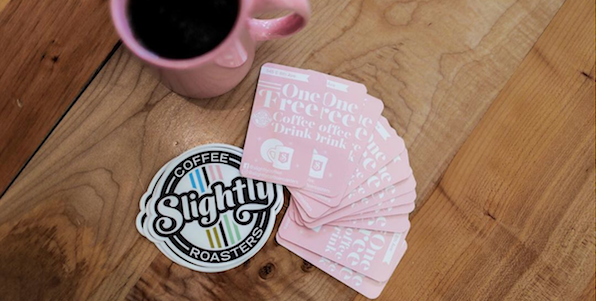 After months of experimenting with campaigns and gathering data, Slightly Coffee is starting to understand more about its traffic, target market, and what gets people through the door as well as through the online checkout on their website. Sheppard and his team are learning about what online ads get a response, and now their focus is on turning ad response into more people visiting their cafe and ordering bulk coffee and other products online. “When we focused dollars on online marketing last fall, targeted toward people we thought would come to our cafe, we had a twenty percent increase in business at the cafe, more than we were expecting,” he says. The key to using data in marketing is to make things more personal. The more campaigns and offers are personalized to a specific customer, the more likely they are to make a purchase. When looking for where to market and advertise, it’s critical to consider the online and local mediums that can convert best for your demographic. Sheppard has run print ad campaigns for another business he owns, but prefers the lower cost of online advertising through Facebook and Instagram. He also likes knowing what customers actually see and engage with, as opposed to not having insight into how many people actually see, consider, or engage with a print ad. “We could spend twenty dollars on a Facebook ad, and you know what impressions and such you’re going to get,” he says. In addition to insights and data points from platforms such as Facebook, Baskar recommends that businesses leverage predictive analytics tools to help them build more effective marketing campaigns, personalized customer experiences, and ways to enhance customer loyalty. Your data can help you figure out how to reach your customer where they’re most likely to have a positive response, says Baskar, which will help you build customer loyalty. Building customer loyalty helps you refine and provide relevant services that reward loyal and frequent customers. Whether through apps, website features, social media offers, email marketing, or in-store services, when a business can enhance convenience, automation, and engagement, that business can tap into additional sources of revenue. Tools to consider adding including pre-orders and mobile payments, says Baskar. In addition to enhancing your brand by offering convenient, time-saving options, you can reduce wait times—which also helps your staff along with customers. The more loyalty a customer feels, the more receptive they can also be to hearing from your brand about news and specials—just make sure you get them to the customer the right way. “Based on the customer data, communicate to the relevant customers on new products and services with email, notifications, SMS, social media, ads, etc.,” says Baskar, and have those notifications reward and reinforce that customer loyalty. Regular reviews of website analytics, POS data, and online ad performance are key to helping you learn to listen to what your data is telling you. From there, you can segment customers and create dynamic campaigns that can grow traffic and revenue, says Baskar, as well as make sure you are offering the right products, services, options, and combinations. Pairing with a food item is one option Slightly Coffee is looking at. They are taking pictures of their food items, to augment online outreach around the timeframes when people might want to come into the cafe. While Sheppard and the Slightly Coffee team are making initial steps in understanding their new sets of customer data, he is confident that they can build on their prior successes and failures for a stronger second year of operation, especially in subscription sales and wholesale coffee sales. While multiple complex sets of data will lead the way, Sheppard also knows that when it comes to marketing, revenue, and business strategy, things boil down to something pretty simple. “If you’re spending dollars on marketing, if that translates to an increase in revenue, then it worked,” he says.